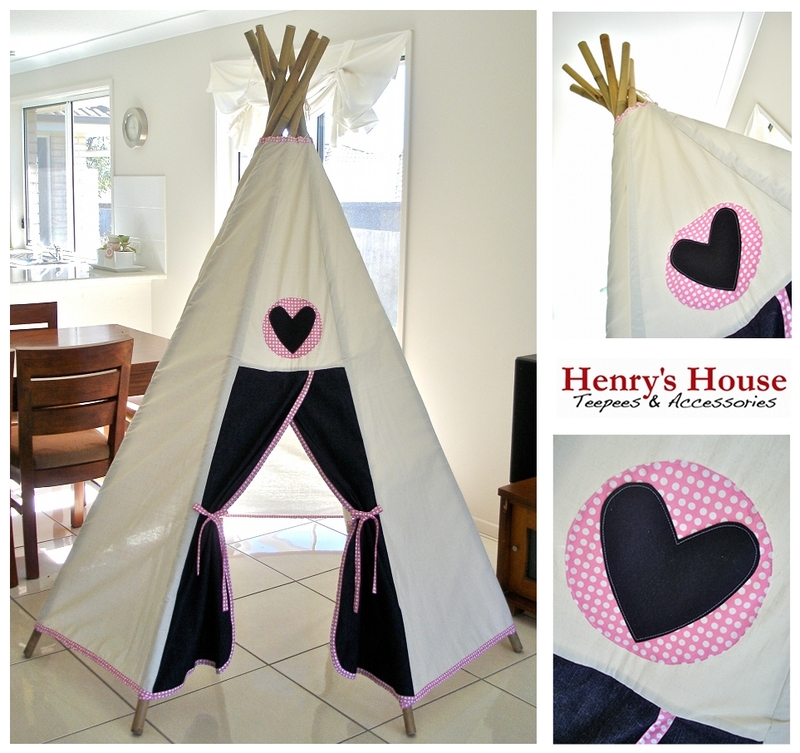 Why do you need a Henry’s House Teepee for Christmas? Add your answer in a comment below and keep your eye on this blog to see if you’ll be the new owner of one of these Teepees! This is not a give away. The Grey Floral Teepee is $240 and the Pink Spot Teepee is $270. For more details including conditions of entry click here. I have 3 little Grand Children living downstairs and although there isn’t too much room left there sure is a magical corner where that Teepee would see big smiles on their little faces! Hi Amy I just wanted u to know I would enter the comp but can’t afford one at the moment. I was the one with the aspergers child . I will buy one next yr.
Oh my boys need one! I did *attempt* to make a teepee (cough cough) but let’s just call it very lame! The control-freak Virgo in me needs one so that the children can stop wrapping my good bed linen around the climbing frame in the garden! I leave EVERYTHING until the last minute hence why I’m entering this with one minute to go. 3 girls in need of tent, one disorganised mum ahhhhh need to press enter its 9pm!! !